Arriving in a new place is always daunting, but the prospect of living in Prague caused particular dread. In this article I would like to tell you how I moved to the Czech Republic and what I experienced. I grew up in the UK and had just spent 18 months living in New York, believing that adapting to that concrete jungle could prepare me for anything in life. But Prague is another story. Different City. Different Culture. Different People. Different language. Different vibe. My plane journey from Manchester was accompanied by the butterflies in my stomach. A combination of excitement and extreme apprehension. I couldn’t tell if it was a positive or negative thing that I didn’t know anybody in this cultural European hub. But I realised that the opportunities to meet other people would be abundant. I was coming to Prague to do my TEFL course and get a certificate to allow me to teach English. So not only would I meet students from various different backgrounds, but also fellow teachers with similar dreams, wishes and anxieties as me. This settled some nerves, knowing that I was in the same boat as many others who had taken a risk to start a new life here. The TEFL course lasted 4 weeks, but the unfortunate aspect of it was that it was so time consuming that I barely had time to explore the City. In a sense, this held back my progress of adapting to the way of life here, simply because there was no room to think about anything else. I could have been anywhere in the world, such was the intensity of the course. But once I qualified, and began my career as an English teacher, everything suddenly looked different. I took a walk along Petrin Hill as a celebration, and that’s when I began to fall in love with Prague. Looking down upon the city lights, staring at Prague castle across the deep valley. This place was now my home. And it was time to explore it. I finally climbed up to that castle, ventured up to Vysehrad, dipped inside the national gallery, for my first taste of what it meant to live in this country. I was not disappointed. To further fuel my wanderlust and aid my ever-present travel bug, I took a weekend trip to Cesky Krumlov. I felt like it was my duty to explore outside the Prague bubble, to be able to say that I am truly a resident in the Czech Republic. The small town was utterly outstanding, and the historical architecture, that is so abundant in the capital, dominated the spectrum here also. I was awe-struck by the possibility that human beings could construct things so beautifully, and take so much artistic pride in something so seemingly mundane as a building. 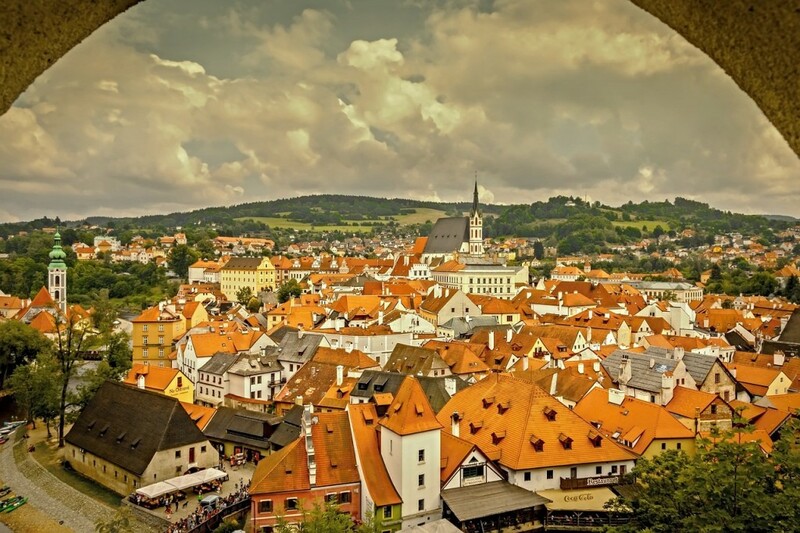 I stood upon the Cesky Krumlov castle walls, looking down on a gem frozen in time. Rarely could I say that during my time in New York. The weekend excursion was a truly uplifting experience. 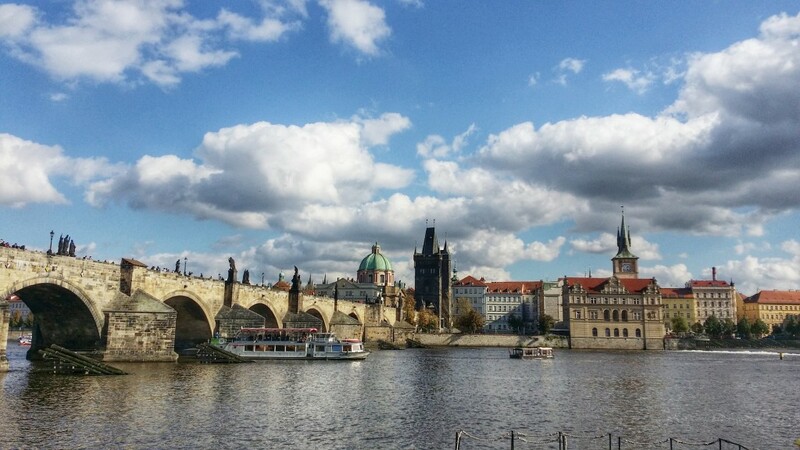 Although Prague had quickly become my home, I realised that I had been taking it for granted. I should have been waking up everyday screaming “Wow! I am living in Prague!” But unfortunately, I had become so comfortable there that the wondrous aspects had slipped to the back of my mind. They came alive again on the return journey from Cesky Krumlov, when the sun was setting behind the hills that guarded the great City that had welcomed me with open arms and a loving heart. I vowed that if I ever took it for granted again, I would simply take myself out of the equation for a day or two. Give a chance for my batteries to recharge and my mind to fully comprehend all the new experiences that greet each day. 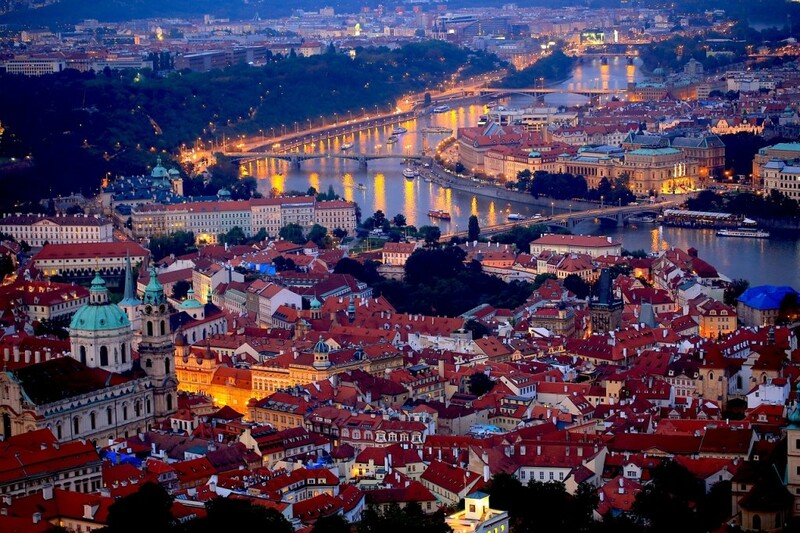 With that in mind, I have since been to quaint little villages surrounding Prague itself. Without the demands of long-distance travel, one can easily step back from the hustle and bustle and dip into a slower and more peaceful way of life. Places like Rokycany, listeni, and Kutna Hora, with its ever-mysterious vibe, will provide such a scenario. 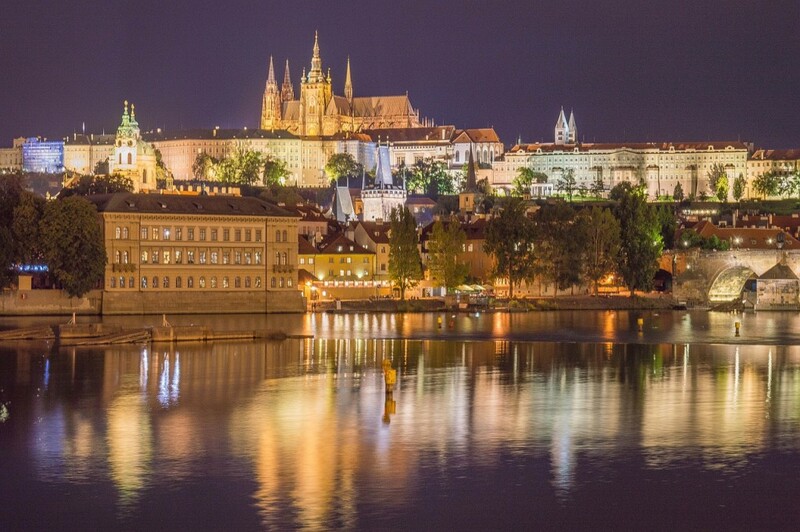 It reminds you that there is more to the Czech Republic than Prague. And even within Prague itself, there is so much life brimming under the surface of the typical tourist sights. My career so far as an English teacher has introduced me to a range of fascinating people that I would otherwise have never meet, had I visited Prague merely on vacation. I have become good friends with an elderly gentleman that was a student of mine during my trial lessons in the TEFL course. He continues to show me and my friends fascinating “off the beaten path” destinations, like a very cheap and authentic wine bar on the North side of town. We gather ourselves around a small table, that seems to be unofficially reserved for us by the owner who welcomes us with a smile. The musicians in the group bring their guitars, while others their voices, while I sit and listen to traditional Czech songs sung by local Czech people, drinking red wine imported from Macedonia of all countries. Authenticity in its element. With this in mind, another favourite “hang out” of mine is a small and secret cafe/bar. So secret that for me to even whisper the name puts me in grave danger. I was introduced to it by an acquaintance, who insisted that we were indeed going the right way when climbing 10 flights of stairs in a tall apartment building. He pressed a button on the door in order to be granted permission to enter. I felt like I was about to be introduced to a historical secret society. Secret society it was not, but history was still in abundance. An old communist apartment that was once used as a gathering point for artists and musicians who were unable to express themselves under that regime. Although the necessity to hide away for such pursuits has now died away in the Czech Republic, the room still had that feel, and seemingly lost souls had found a cosy place here. You can sit on a comfy couch reading a book, or a high table playing chess. And once in a while, the projector screen would be pulled down and a film would suddenly begin playing. A very unique place indeed, amongst the many other unique joints that I am continuously discovering all over the city. Unpretentious and just happy to exist for the pleasure of those lucky enough to find them. Another place within this category is the Bio Oko cinema, which is unlike any cinema that I have ever experienced. In my life so far, I have come accustomed to the generic theatres charging highly extortionate rates for a very unauthentic experience. Bio Oko doesn’t sell popcorn, or low quality hot dogs. 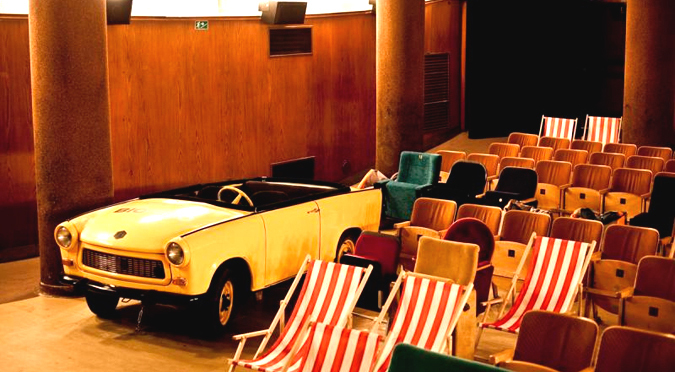 It sells delicious beer and offers you a choice of a variety of seats in the theatre, ranging from deck chairs to couches, all adding up to a very strange, but wonderful movie night venue. And rather luckily for those who attend this place frequently, across the road is perhaps the greatest kebab that you’ll stumble upon in the City. It was a mission that myself and my flat mate took up to find. We tried out various different eateries, much to our pleasure AND displeasure, before eventually finding the perfect kebab. Way off the beaten track, making it all the more delicious. Overall, it’s hard to completely put in words what makes Prague so special. On the surface, it might seem obvious, but normally these attractions are not enough to stick around in a City for such a long time. But because that is exactly what I have done on this occasion, I have delved into the deeper depths, beyond Prague Castle, beyond the old town, beyond Wenceslas Square. It’s far from a perfect utopia, but who truly wants such an unobtainable fantasy? It’s the imperfections that give the place the true character that is missed by the majority of tourists. When I consider all my experiences so far and the people I have met, then it occurs to me subtly that this may be the best decision I have ever made. And considering it is such a good decision, I don’t see any reason to stop it anytime soon. It looks like me and Prague will have to continue our love affair for the foreseeable future. And the thought of that makes me very happy indeed.